He is the man that knits their midfield and attack together but, frustratingly for the Ivory Coast, he has limped into this tournament carrying an injury. In a situation that is reminiscent of that they had at the 2014 World Cup, where Toure was also carrying a knock (and mourning the loss of his brother), Ivory Coast’s build up play has been affected in turn. In the opening game versus Guinea, he asked to be taken off with 10 minutes to go, and against Mali he never looked at his optimum. Ivory Coast had over 60% of possession but rarely looked imaginative with it, with the passing ponderous at best. Toure dictates the tempo of the Ivorian team and if they can’t get him to his rampaging, creative-fulcrum best, it’s difficult seeing them get the better of a Cameroon that has the mental edge after thumping them in Yaounde during AFCON qualifying. Can Volker Finke go into a major tournament without making bizarre decisions? Similar to what we saw at the World Cup, we’re seeing Volker Finke unnecessarily fiddling with his team selection during the tournament. Impressive in qualifying, notably conceding just one goal, Cameroon came into the AFCON as one of the major contenders to lift the trophy and you’d think the German coach would know his best XI. As their defensive record correctly depicts, their defensive line didn’t need any rejigging. If you have a trusted defensive foundation, you stick to it. Once again, just like he rejigged the Cameroon backline during the World Cup (sometimes in between games), Finke has failed to do that. The error-prone Aurelien Chedjou, who played no part in qualifying, has come back into the fray to rekindle his long-term relationship with Nicholas N’Koulou, Stephane Mbia has been moved further forward while Ambroise Oyongo has been moved from left back to right back. The midfielder Georges Mandjeck, a regular in qualifying, has dropped to the bench and, most notably, Edgar Salli has come in for Olympique Lyonnais’ Clinton N’Jie in the attack, forcing N’Jie, who was one of the stars of AFCON 2015 qualifying, out of the picture. No explanation has been given for N’Jie’s absence, and all suggestions are that he is fully fit – he has been named on the bench for both games so far – but, given his very good understanding with Aboubakar during qualifying, it is extremely odd that he has not played a part so far, not even from the substitute’s bench. With differences between the sides so minimal, you have to wonder if Finke can make the right decisions at the right time, and whether he even knows his best XI. Mali playing the smart game? 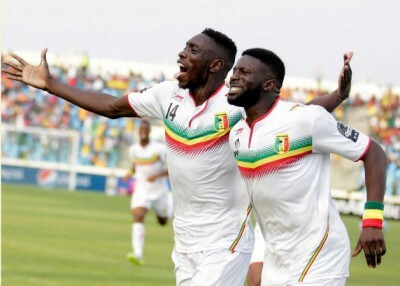 Pre-tournament, one of the most logical ways that Mali were going to progress from Group D was to draw against Cameroon and Ivory Coast – or at least restrict one of those teams – and win their final game against Guinea. So far so good for two-thirds of that masterplan. Winning against a Guinea side that has shown that they’re no pushover is no guarantee, but it is a much more unintimidating feat to achieve than beating Cameroon and/or Ivory Coast. Or could Mali live to regret their lack of adventure after taking the lead in both those games? Against Cameroon it was perhaps the sensible approach to sit back after taking a 71st minute lead but, in contrast, they offered little in attack, even with Bakary Sako, against an Ivory Coast defence that is penetrable after Wolves winger gave them the lead in the 7th minute. It had been billed as the most open tournament in years, and the tournament itself has certainly lived up to its billing. While some atrocious playing surfaces and refereeing decisions haven’t helped the results, all in all there is very little separating teams. Take Group D. For player-for-player strength Cameroon and Ivory Coast may be superior than the other teams in the group, but Mali’s tournament know-how and disruptive style and Guinea’s attacking thrust meant they had more than enough to imprint themselves on the game. Even the major contenders in the tournament have major weaknesses which can be exploited by any side in the tournament, so it is not a surprise to see all the teams alive and kicking going into the final round of games.